Preconceptions and Prior Experience in Marketing: Today we’re covering an interesting topic, potentially most useful for those looking to do some market research but also with applications in marketing. The idea is quite similar to framing, which we’ve discussed previously on the Rippleout blog. In short, I want to talk about how prior knowledge or experience (i.e. preconceptions) can impact perceptions of later events and later actions. Before we go in to any detail, a quick experiment for you. First, you lay out one bucket of ice cold water on the left; one bucket of lukewarm or room temperature water in the middle; and one bucket of hot water on the right. Place your left hand in the cold water, and your right hand in the hot water, and leave them for a minute or so to get used to the temperature. Then, move both hands in to the lukewarm water in the middle. What you’ll notice is that your left hand, which was in the ice cold water, experiences the lukewarm water as being very warm. Conversely, your right hand, which was in the hot water previously, experiences the lukewarm water as being cold. You know, of course, that the lukewarm water is in fact simply room temperature – neither particularly hot nor particularly cold – yet your body experiences it as two separate things due to the state each hand had been in seconds before. Of course, the above is a very simplistic example (but I think a good one) of how prior experiences can radically alter how we perceive the here and now. More important for marketers and market researchers, is that this example is very simple to understand and see ‘happening’. This is not necessarily true at other times, and in many instances in life, we cannot see the processes taking place within our customers’ or respondents’ minds. For market researchers, there are some obvious takeaways. For instance, if you are asking how aware people are of a brand, make sure you don’t include it in an earlier question within the questionnaire (this can and does happen in some research surveys I’ve seen). Don’t describe products, services or brands in a particular way (i.e. negatively) and then ask respondents to give their view on them. This also has some implications for approaches such as omnibus surveys where, due to their nature, you may have no or limited control over what questions come before your own within a survey. However, for marketers and other business owners, there are some other potential uses of this idea. For example, many people make decisions about purchases based on their prior perceptions – particularly within product categories that they don’t completely understand or don’t buy regularly. In general, a common mental shortcut (based on numerous prior experiences) is that more expensive products in one category (say, engagement rings) are likely to be of a higher quality than cheaper products in the same category. 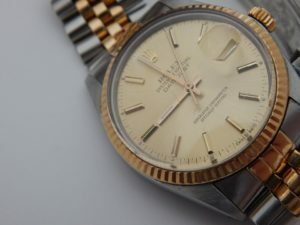 Whilst this strategy is likely to be less effective for everyday commodities, if you own a shop selling expensive watches, it might be worth trying a price increase for a couple of weeks if you’re struggling to shift a few particular Rolex watches. You can of course combine this type of thinking with the use of familiarity and other pieces of marketing psychology we have discussed elsewhere. As an example, the familiarity principle is a trait which means that people are generally more likely to ‘trust’ things they have encountered before – so the combination of an expensive watch, from a well-known brand (say, Rolex) could be quite potent! And of course, if the worst comes to the worst, you can always reduce it back to the original price a month later, with a 10% off sale tag!